To be used for temporary relief of pain associated with sore and aching muscles due to strain from exercise or normal household work activities. To be used to stimulate healthy muscles in order to improve and facilitate muscle performance. To be used for recovery of fatigue, improves blood circulation neuralgia. The device FDES116 is a dual channels portable electrical therapeutic instrument. Before using, please read all the instructions in this user manual carefully and keep it safe for future.  Portable electrical therapeutic instrument belongs to the group of electrical stimulation systems. It has three basic function – TENS (Transcutaneous Electrical Nerve Stimulation), EMS (Electrical Muscle Stimulation) and MASSAGE. Function of the portable electrical therapeutic instrument has 36 application programs(12 TENS programs, 12 EMS programs and 12 massage programs). 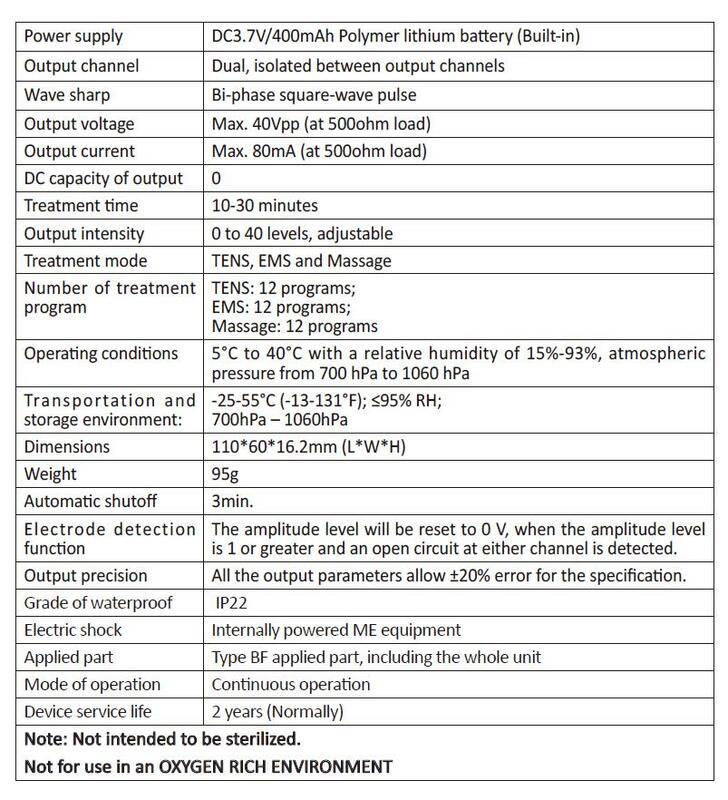 The respective application program controls the generated electric impulses, their intensity, frequency and frequency range. The values for the respective program are listed on IM. Pain is a warning system and the body's method of reminding us that something is wrong. Pain is important signal; without it abnormal conditions may go undetected, causing damage or injury to vital parts of our bodies. Even though pain is a necessary warning signal of trauma or malfunction in the body, nature may have gone too far in its design. Aside from its value in diagnosis, long-lasting persistent pain serves useless purpose. Pain does not begin until coded message travels to the brain where it is decoded, analyzed, and then reacted to. The pain message travels from the injured area along the small nerves leading to the spinal cord. Here the message is switched to different nerves that travel up the spinal cord to the brain. The pain message is then interpreted, referred back and the pain is felt. 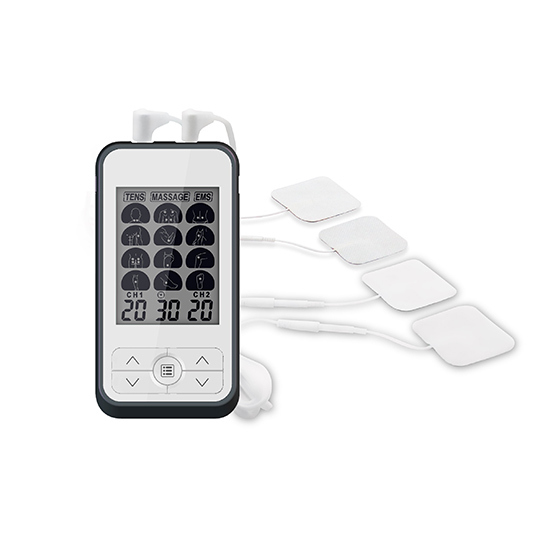 TENS (Transcutaneous Electrical Nerve Stimulation) gives good results in relief of pain. It is clinically proven and used daily by physiotherapists, other caregivers and top athletes around the world. High-frequency TENS activates the pain-inhibiting mechanisms of the nervous system. Electrical impulses from electrodes, placed on the skin over or near the painful area, stimulate the nerves to block the pain signals to the brain, and the pain is not perceived. 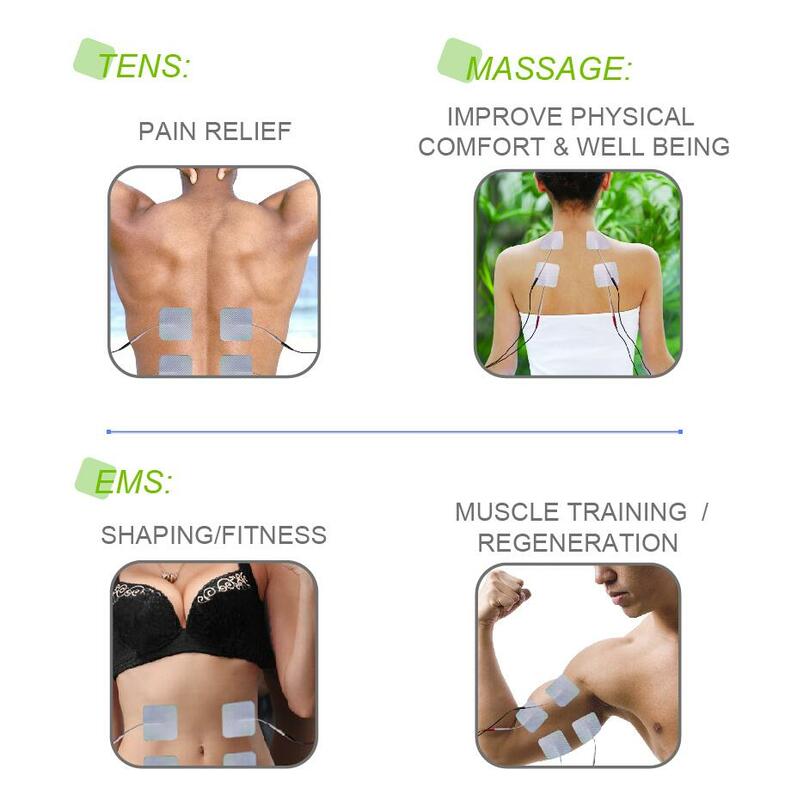 Low-frequency TENS stimulates the release of endorphins, the body’s natural painkillers. Electrical Muscle Stimulation is an internationally accepted and proven way of treating muscular injuries. It works by sending electronic pulses to the muscle needing treatment; that causes the muscle to exercise passively. It is a product derived from the square waveform, originally invented by John Faraday in 1831. Through the square wave pattern it is able to work directly on muscle motor neurons. 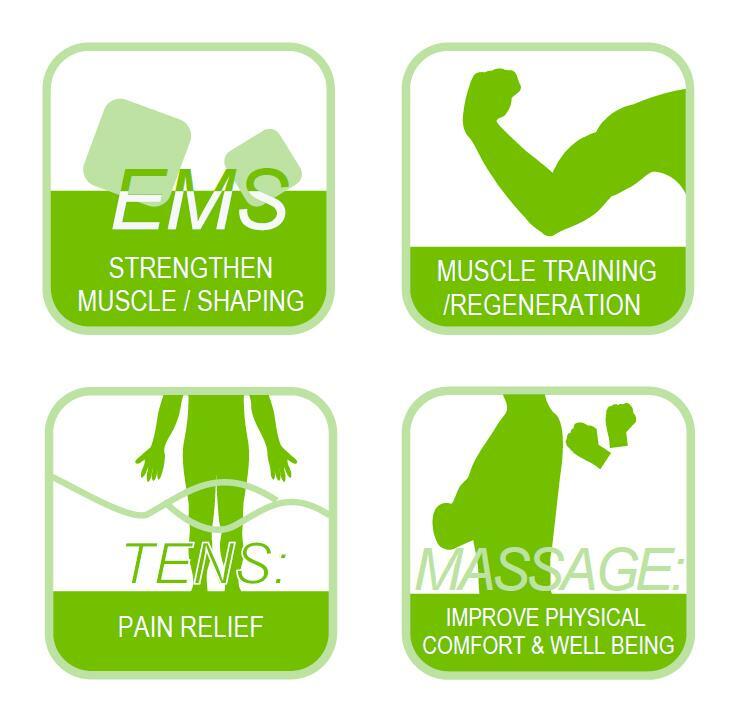 The Ultra EMS System has low frequency and this in conjunction with the square wave pattern allows direct work on muscle groupings. Massage, to stimulate the muscle motor nerves of healthy persons to improve their muscular performance, to achieve a relaxing effect or to improve circulation exchanges.